(Trent Nelson | The Salt Lake Tribune) Ben McAdams in Salt Lake City, Wednesday Oct. 17, 2018. Republicans will privatize your Social Security and Medicare benefits, claiming these “entitlements” are best served by the private sector. They are not “entitlements”; they have been earned and paid for by us. That will not stop Republicans from giving control of the funds you pay for Social Security and Medicare to the private sector, subjecting them to the whims of Wall Street and another potential bailout of the private sector, with us paying the tab, and paying it twice. What will happen to these benefits in the meantime? Do you want to count on Congress to restore them while you wait for your check or insurance coverage? 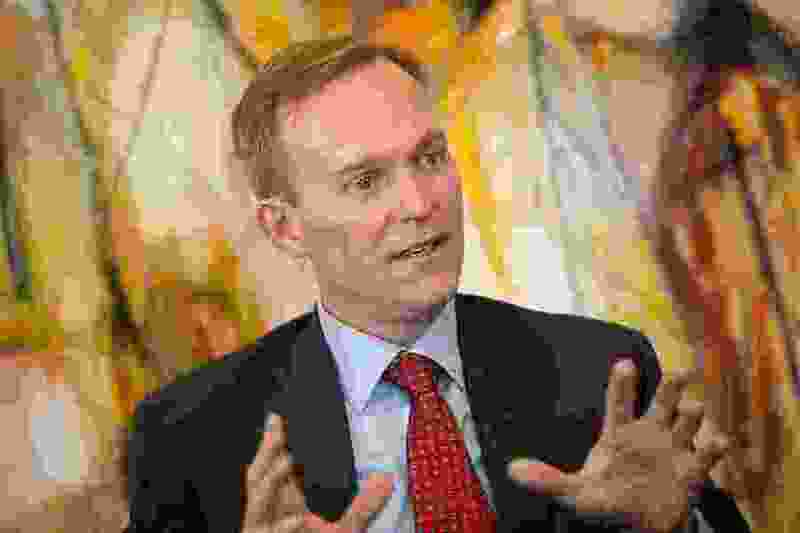 Before you mark that “R” for a straight ticket on your ballot, hesitate, look down that ballot, and then vote for Ben McAdams for Congress to protect your Social Security benefits and Medicare coverage. You can be sure Mia Love will vote with the Republicans on privatizing these benefits. Ben McAdams will not.